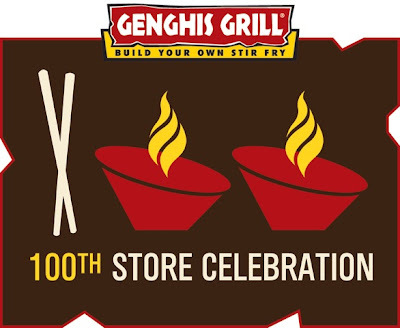 Genghis Grill is a build your own stir fry restaurant where you can choose from 80 fresh ingredients and watch as the grill master cooks up your meal. New Genghis Grill restaurants are popping up all over the US. Recently they opened up their 100th store! 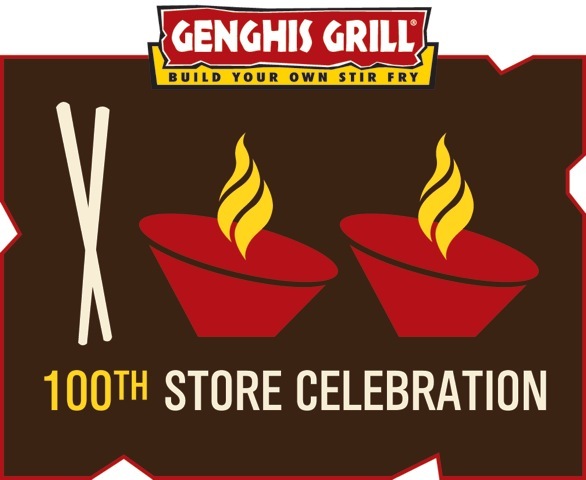 To honor this special occasion Genghis Grill is running a photo contest on their Facebook page! Your quest is to show Genghis what you have conquered. This could be anything from running a 5K, losing a ton of weight, a good grade on some homework or buying your dream home. They want to see it all! To enter you simply will need to take a photo of your moment, upload it to their Facebook contest tab labeled CLICK HERE TO SHARE YOUR CONQUER or tag your photo with #ConquerWithKhan via Twitter or Instagram. You must submit your entry before 10/26/12. If you wish to have 10 free votes added to your tally if you make it to the finals then be sure and include a Genghis Grill reference of some kind in your photo. This could be Mongolian wear, the red Genghis bowl or other Khan related items. As of 10/16/12 there are not very many entries so your chances are GOOD! One lucky grand prize winner will receive a third generation iPad along with a $100 Genghis Grill gift card. Other weekly winner will be awarded free bowls and other Genghis Grill goodies! Good luck! This sponsored post was written on behalf of Genghis Grill. All opinions are 100% my own.